It is hard to believe that today December 10, 2017 the fire conference “Champions of Kingdom 2017” has come to the end. We have spent 4 magnificent full days in the Power and Glory of God. Richard Moore drew our attention:” At this conference the topic of a prayer is especially highlighted” and “If we do not listen to the Holy Spirit, if we are not obedient and do not start acting, we can find ourselves at the next conference without any changes.” That is why it is important to hear things that God has been telling us all these days and start acting in these directions. Also, Richard Moore asked us a serious question which sounded like a challenge: ”If God would have answered all your prayers today, would your world or your life be changed?”. Answer this question honestly and you will understand what you should change. “God encouraged us to stand out and to make changes.” The power that was on the generals of faith Lester Sumrall and Smith Wigglesworth can be on every Christian because God equips everyone who is ready to seek God with this great power. At the end of the service Richard Moore was praying and laying hands on all people attending the service. We got inspiration for a new level of relations with God and for the new level and scale of our ministries. Gratitude to every speaker and every guest of the conference. 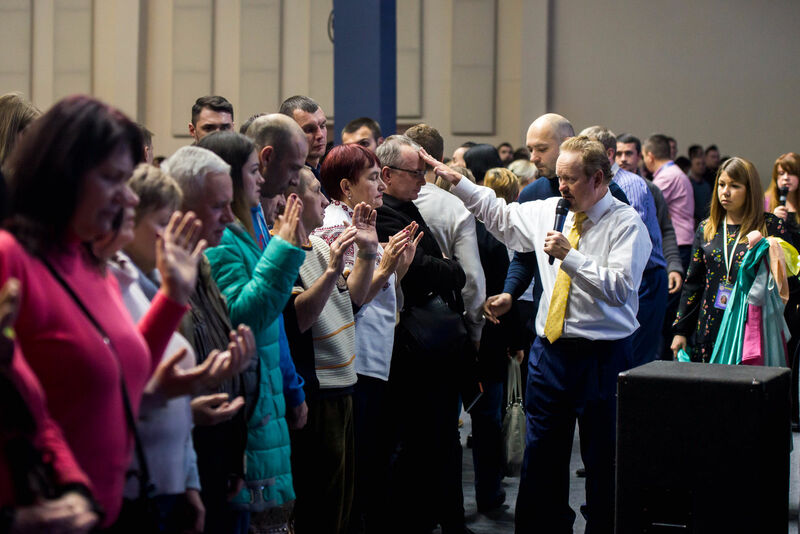 We will meet next year having great testimonies about changes and miracles in our lives, ministries and cities.